Our tour continues with additional photos from Breen Boats in Rockwood, Ontario. This is a very rare find. Complete, intact and quite solid after 120 years, she has obviously been mostly stored inside away from the elements. 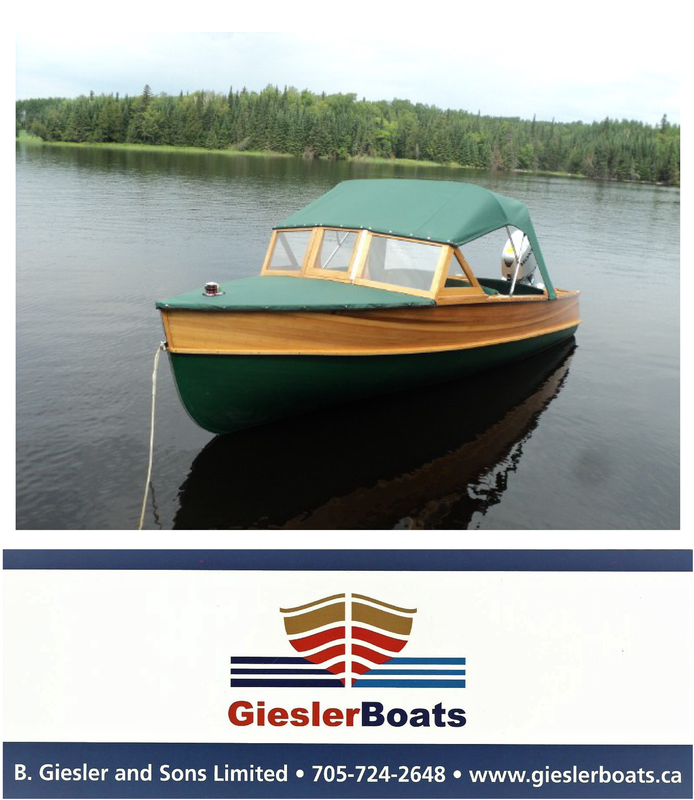 Dan Kidney was a substantial boat builder in northern Wisconsin. 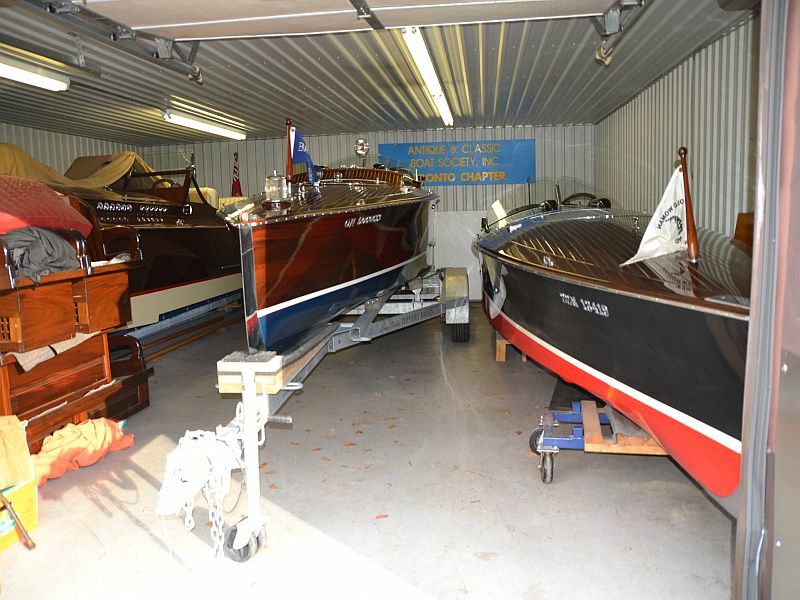 His boats were sold throughout the United States. Very few have survived, as they were powered with early rudimentary engines and mainly burned in the early years before gasoline motors started to become more reliable later in the 1920’s and 1930’s. 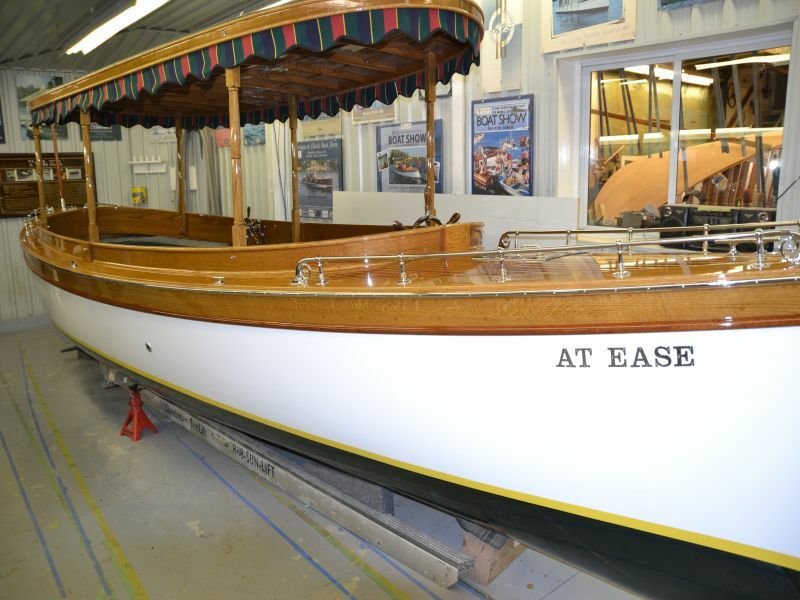 Bill and Susan Ringo are rebuilding this piece of history to be used around their island on Lake Russeau, Muskoka for sunsets and family cruises. These launches are great family boats with wrap around seats. 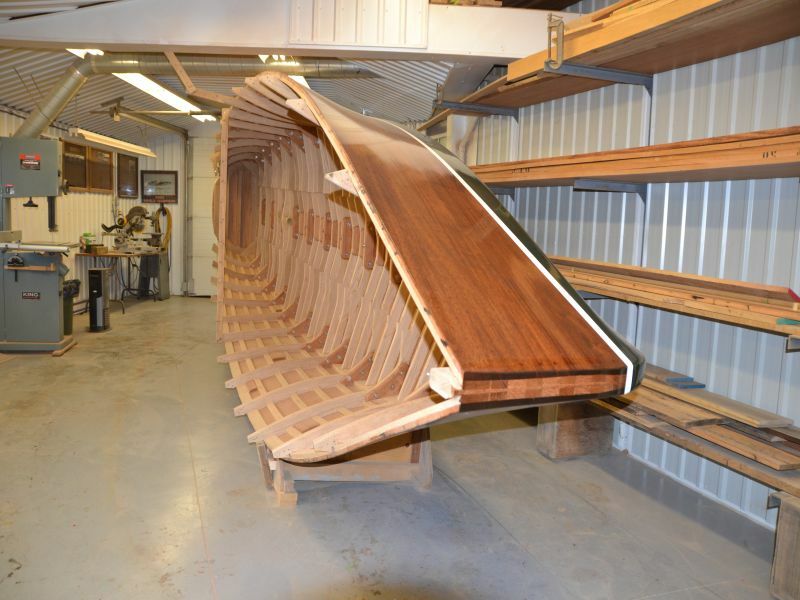 Now totally ribbed, with a new bottom installed, Peter Breen’s staff are fairing it into the original sides and preparing to install the keel protection with the strut, shaft log and rudder assembly. Originally steam powered, very few of these survived as they were prone to fires and quite dangerous to run. Breen’s staff are converting her to a period gas engine – as was done when they realized that this was a safer, simpler and more user friendly way to go. Efforts are being made to identify the build date of this launch. With the power and propeller diameter it is known that she was built before the turn of the century. This Duke playmate is in for some bottom planking, where attention to the wood grain selection for the bottom planks is critical. The ultimate “wooden eye candy”…a garage crammed with Gentleman’s Racers! 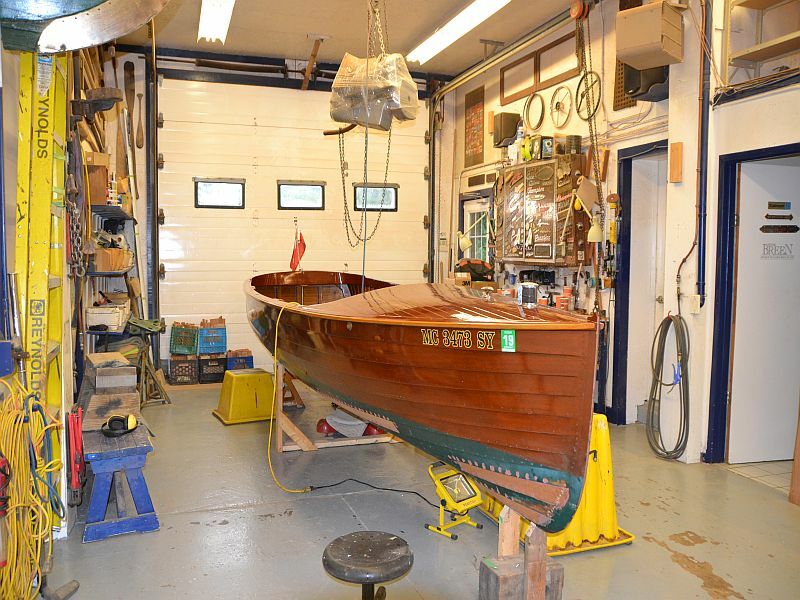 The huge amount of labour and skill involved in creating this new 28 foot custom Gentleman’s Racer is a testament to the craftsmen and women who assemble her piece by piece! 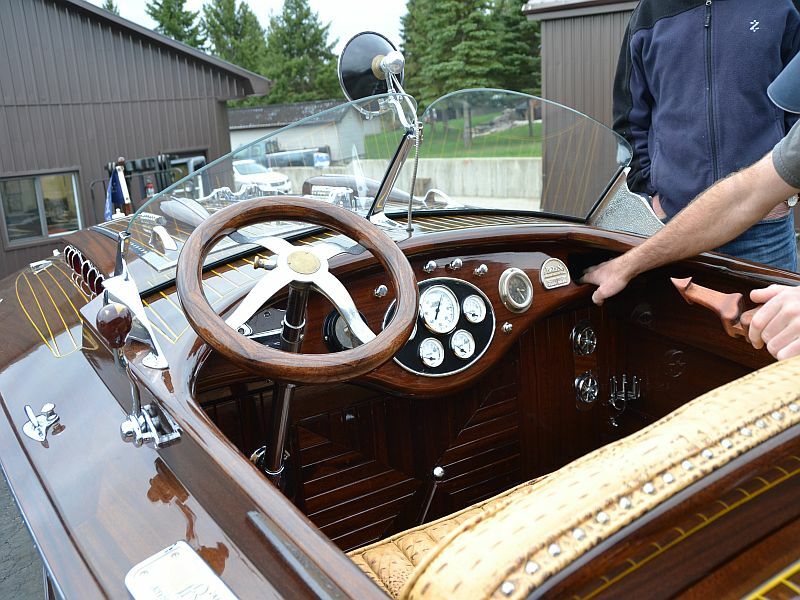 ← The ACBS Toronto Chapter Spring Tour re-ignites vintage boating excitement!